Live and breathe 1920’s Shanghai in this Art Deco inspired gem located on the historic Bund on the banks of the Huangpu River. 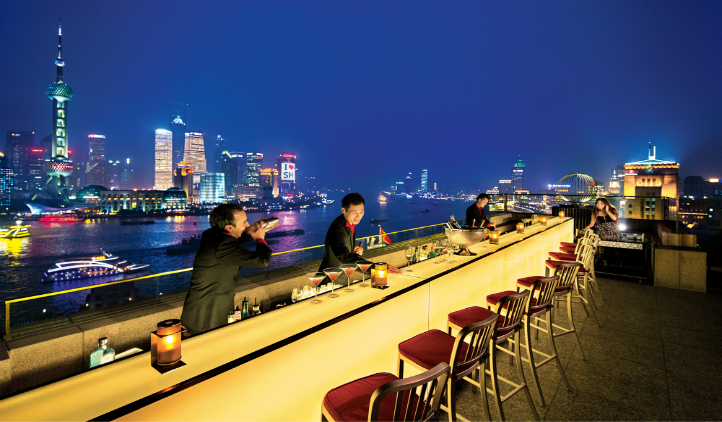 Embracing the era when Shanghai was known as ‘the Paris of the East’, the hotel’s numerous restaurants and bars offer everything from speak-easy smoke in Salon de Ning to rooftop glamor at Sir Elly’s Terrace. With world class food, opulence that knows no bounds, and a mesmerising skyline, The Peninsula is the place where all your Shanghai dreams will come true. After being greeted by a signature Peninsula green Rolls-Royce, sit back and enjoy the view as your driver takes you to Shanghai’s historic Bund, an iconic area which runs along the western bank of the Huangpu River, facing the towering skyscrapers of Pudong. You won’t miss The Peninsula as it appears before your eyes, occupying a prime location on the Bund. A step back in time, think 1920’s Shanghai with exotic woods, black lacquer, carved glass and ornate accents of polished chrome. Built in homage to the glorious Art Deco era, the beautifully styled rooms incorporate the nostalgia of a bygone era with a luxurious and contemporary ambience. Stay in The Palace Suite for the largest private terrace on The Bund, built in a wraparound style that offers spectacular views over The Bund, across the Huangpu River to Pudong and beyond. Bypassing The Peninsula Hotels’ personalized service, the luxurious ambience, five star cuisine, and unbeatable views, what really sold The Peninsula Shanghai to us was the intricacy and nostalgia of its décor. You’ll never want to leave once you’ve slipped into the warming waters of the Art Deco-inspired pool, full-length skylight above allowing you some quality morning contemplation as you make your laps.